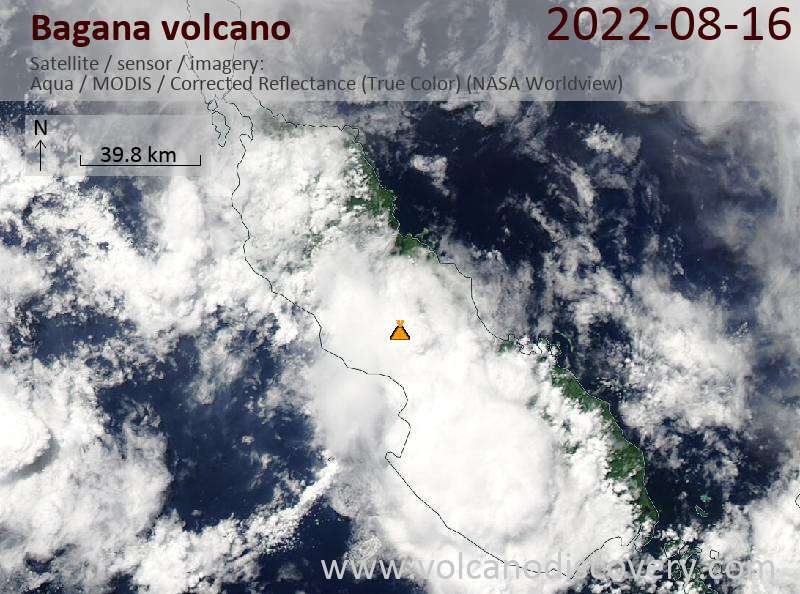 Bagana volcano Volcanic Ash Advisory: VA OBS TO FL070 TO WSW AT 25/0020Z. ERUPTION DETAILS: VA OBS TO FL070 TO WSW AT 25/0020Z. FORECAST BASED ON SATELLITE IMAGERY AND MODEL DATA. 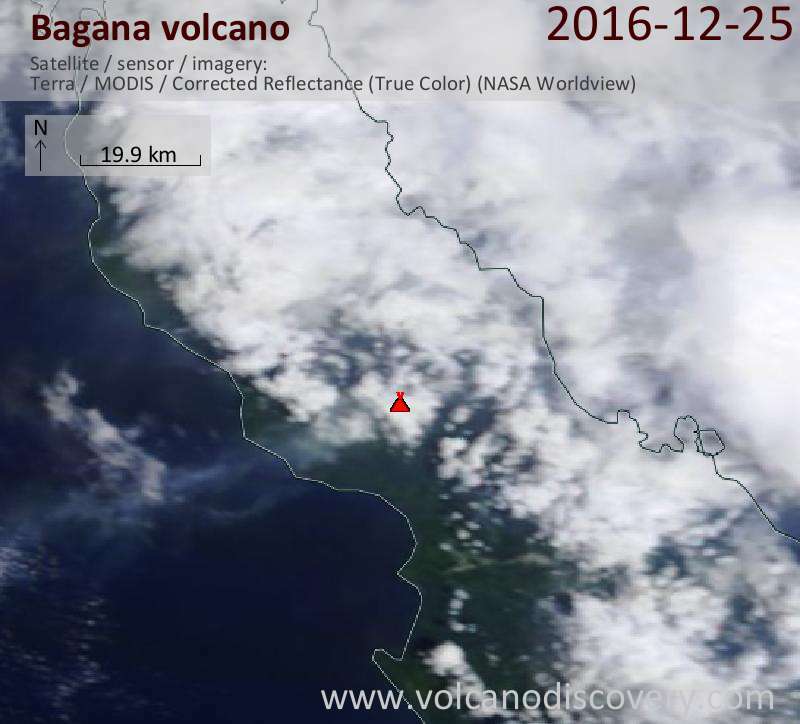 Bagana volcano Volcanic Ash Advisory: VA OBS TO FL070 EXT 45NM TO WSW AT 24/2250Z. 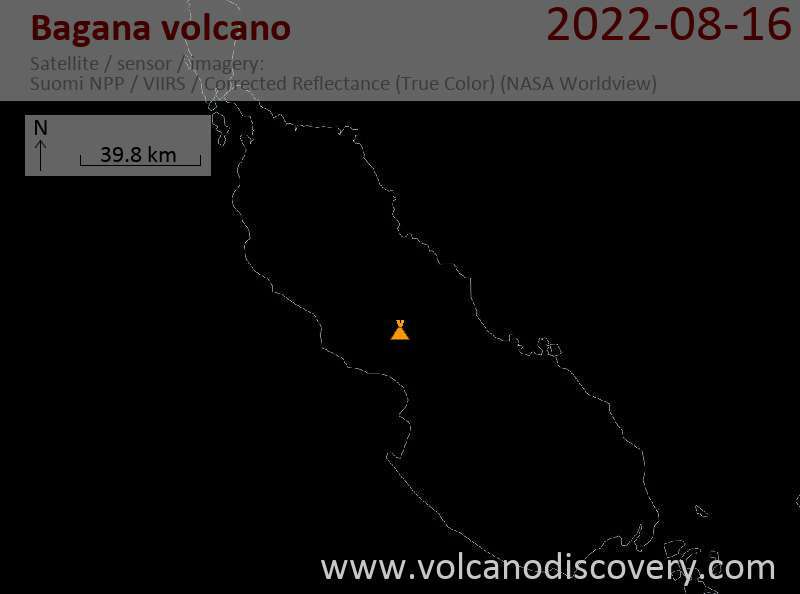 Bagana volcano Volcanic Ash Advisory: VA OBS TO FL070 AT 15/2030Z EXT TO NE.